Put all of the ingredients, minus the coconut, in a food processor and hit the pulse button. Then finely grind the mixture. 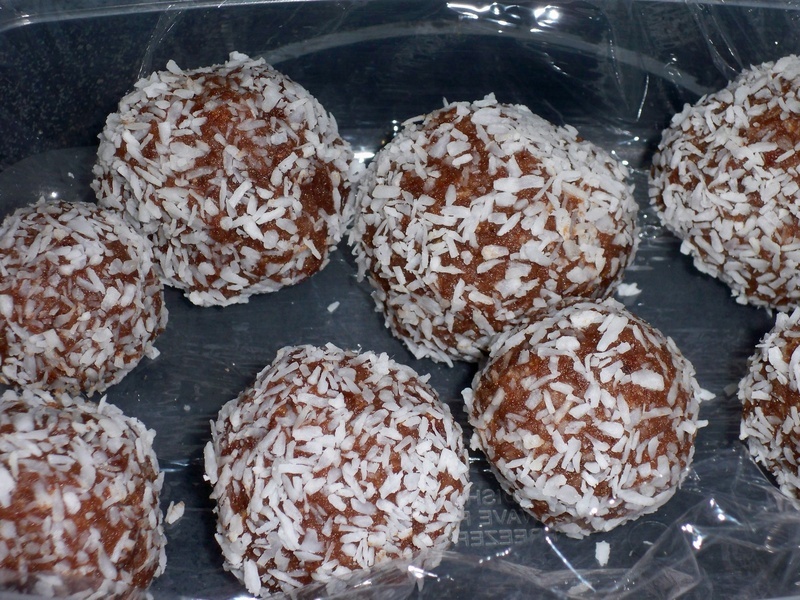 With wet hands or gloves, roll into ½” balls, then roll in the shredded coconut. Makes approximately 24 coconut pecan date balls.